Welcome to anther gathering over at Susan's Between Naps On The Porch for her weekly Metomorphasis Monday. This is really a work in progress, with ideas still in transition. Here's a very old image (excuse the poor quality, my scanner has died and this is a picture of a picture!) of a little antique pine desk, whose original purpose was as a beauty salon station in one of the Eastern Block countries. 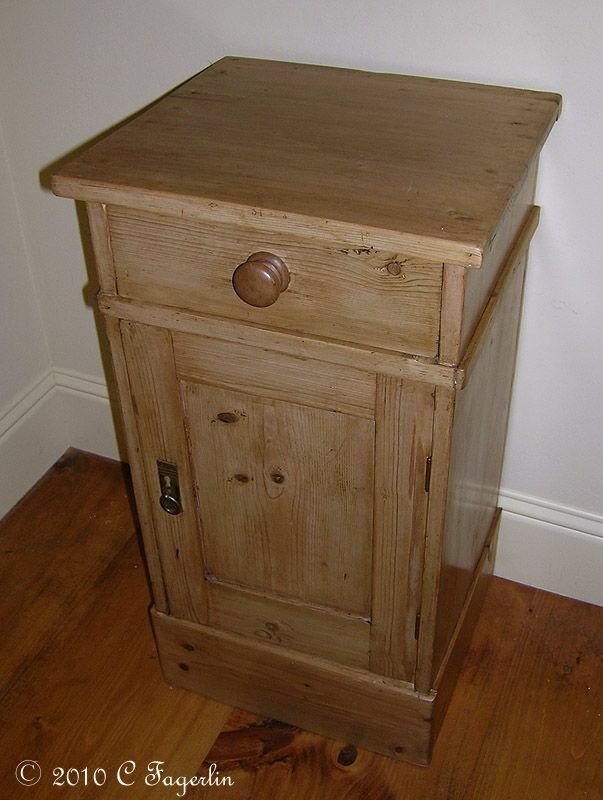 It has served in its new capacity over the years as a dressing table, a desk in various rooms of three different houses and now that we live in a smaller house, it had no real purpose in life. How sad. Let me say first of all to all antique buffs, do not lament what a woman with a saw can do......this was a primitive piece at best and of no intrinsic value as an antique. Before I show you the "after-math", let me ask for some help. 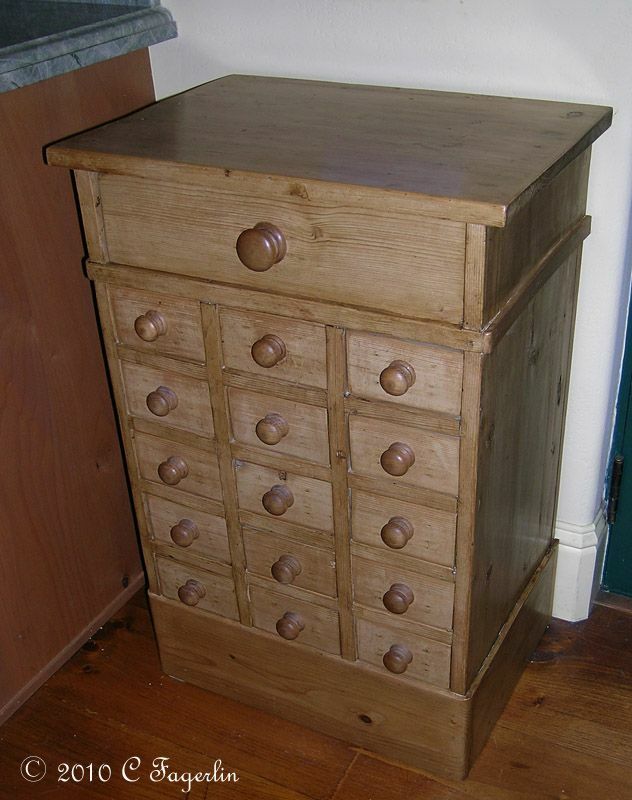 I really would like to find some vintage enamel numerals or plates to dress up the little drawers. Or even some little signs with the names of herbs or ????? I pulled out some stickers just to get some ideas, but nothing has settled firmly in my mind yet. 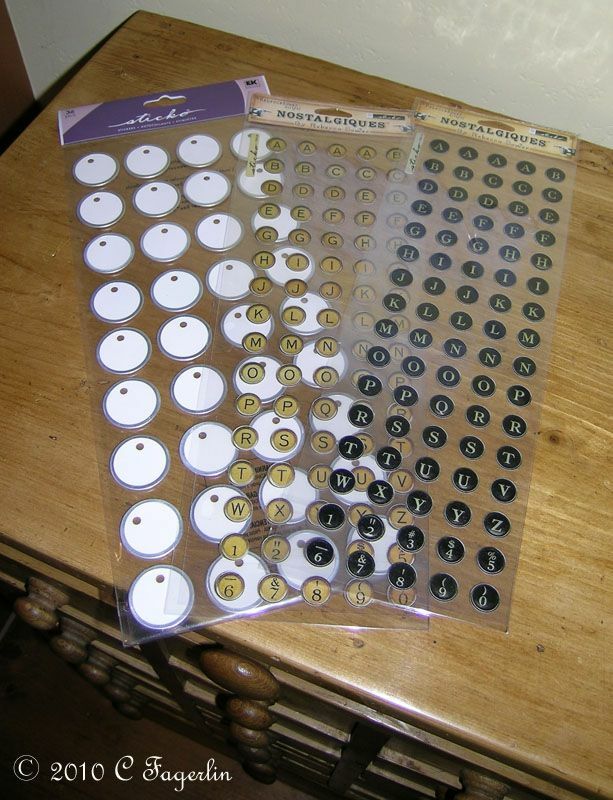 I thought about printing some clear labels on my P-Touch, but with the wax finish I don't think any stickers will adhere on a permanent basis. Your ideas would be most welcome. I've seperated the two pieces to different rooms, so that I can continue to think creatively and not associate the different parts as a whole. There is enough nice old pine left that I'm thinking of making a blackboard for the kitchen out of it, but right now, I need some ideas for the little drawer fronts please! I added some trim pieces to the sides and gave it a new coat of wax. Now I'm waiting for inspiration to strike. Interesting and imaginative new life for an old piece. It turned out great! I really like the one with all of the little drawers. I would have been scared to death to cut it apart. Great job. Well done! Will you keep herbs in it? It could be room for your napkin ring collection to grow. It looks great. 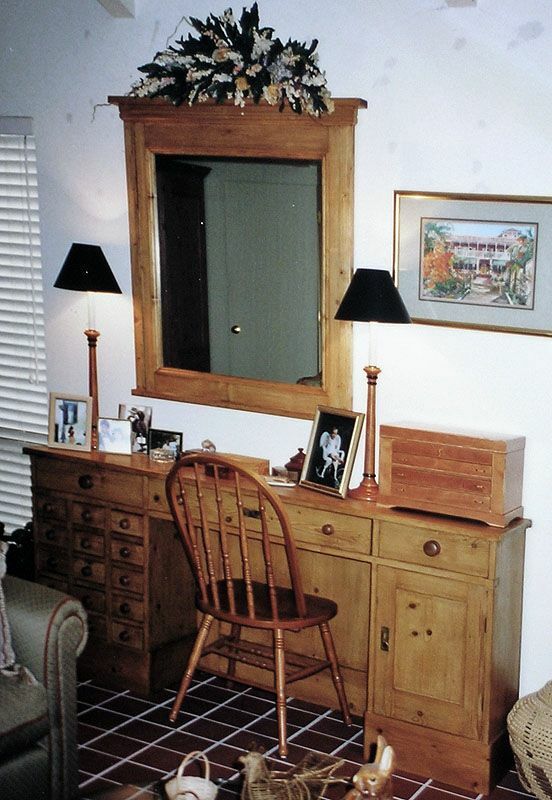 Decorative letters and pics of contents on each drawer. Get out the paint and brush. Thanks for sharing. Thanks to all of you for stopping by to see one of my "in process" winter projects. Still haven't figured out what to do on the fronts of the little drawers....napkin rings would be a great idea as the drawers are fairly deep. I love that you have made two small cabinets out of the large piece...you are far braver than I! They came out great. Thanks Mimi - I don't know about brave, but I am pleased with the outcome!